Manuel Oliver’s 17-year-old son Joaquin Oliver died during the February 14, 2018 shooting at Marjory Stoneman Douglas High School. At the House Judiciary Committee hearing, Oliver repeatedly interrupted Gaetz, who used his platform to decry gun crimes committed by undocumented immigrants. He was given a warning from House Judiciary Chairman Jerrod Nadler. There was another burst of interruption from Oliver and Fred Guttenberg, whose daughter Jamie was also killed at Parkland. 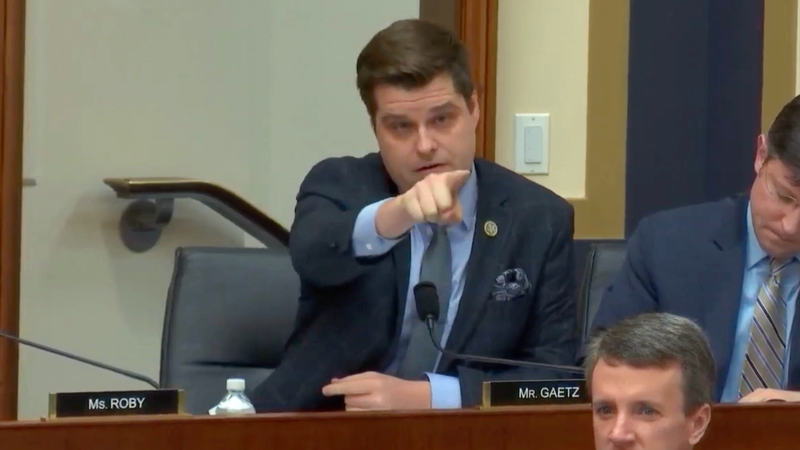 Gaetz began pointing in Oliver and Guttenberg’s direction and asked Nadler if they could be ejected from the audience. Nadler gave another warning instead. “I’d observe that’s three interruptions of my time by the same individual, and that the Chair is not utilizing his discretion to remove that individual,” said Gaetz. Oliver told CNN that he found Gaetz’s comments offensive and a waste of time. Oliver called Gaetz unqualified to speak on gun violence. The National Rifle Association endorsed Gaetz and donated money to his congressional run last year. It’s safe to say that Oliver’s assessment is sound.